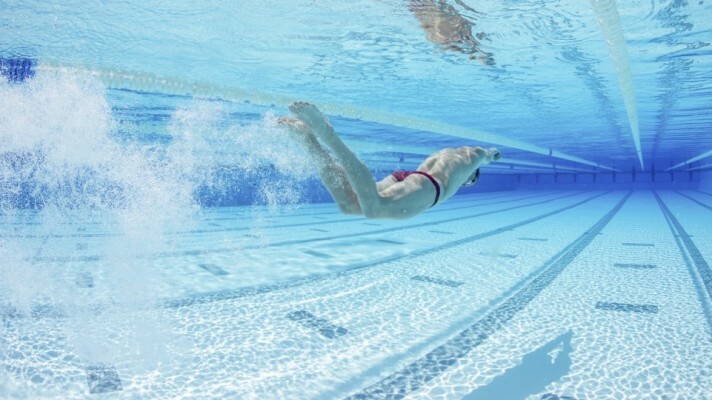 The swimming facilities of Tenerife Top Training (T3) are used by famous swimmers from all over the world. The last one, who chose the high performance centre has been Adam Peaty, current world record holder in 50 and 100 breaststroke, as well as 4x100m mixed styles, and voted best swimmer in the world in 2015, now he wants to prepare for Rio Olympics on the island. The British athlete, who remains in the ‘T3’ for 15 days as a member of the City of Derby, is winner numerous medals in international competitions, for example three gold medals at the World champioships Kazan 2015 and three silvers in the World champioships 2014. Similarly to Doha, Peaty won four gold medals at the 2016 London European and many more Berlin in 2014, always in 50 and 100 breaststroke and the 4×100 freestyle realay. T3: Is it your first time here in Tenerife or T3? How are you feeling? A. Peaty: Yes it is my first time here, I have never been to Tenerife before. It is amazing, there are no clouds here*laughs*, so it is hot everyday, which is good for training. It is always better to train in the sunshine, especially when you come from England, where it is always cloudy. T3: Have you also tried the flume channel? A. Peaty: Yes, we used that the other day and it was good. Just to get my fly kick, going on the breaststroke, so it was good to look back and pull it apart a little bit. T3: How are you feeling for Rio? Which are your goals? A. Peaty: I am feeling good and confident. I am in really good shape so, hopefully, I am looking at a really good performance over there. It is still my first Olympics so I am looking to learn a lot. Hopefully I will give my best possible performance in and out of the pool and be focused. I take it as a learning curve. Last year was my first world championship and I came away with three gold medals and I don´t see why the Olympics should be any different. Obviously it is a big stage, it is one of the biggest stage in the world, but, at the end of the day, it is just still the same two lengths I have done all my life. T3: In which distances are you going to compete? A. Peaty: I will just do the 100. And the 4 by 1 medley. T3: In which part of the training are you at the moment? How many hours are you training? T3: And what will you be doing in the coming weeks? A. Peaty: Ah it will be pretty much the same. You know we are three weeks away from Rio. I will start to rest now and hopefully be faster then. T3: And are you planning to come back here, in Tenerife? A. Peaty: Yes, I mean definitely. Me and my coaches, we really like it here. It is nice and quiet, especially when you go around the island; it is nice and peaceful with great scenery. It is probably one of the best centers we have come across, in terms of maintenance and nice staff, it is so easy to get here too, just 3-3,5 hours flight…So yes! Hopefully next year or at the end of this year maybe. Melanie Marshall is the current coach of Adam Peaty, used to be an international swimmer who went to two Olympic Games, Beijing 2008 and Athen 2004. T3: Is it your first time in Tenerife? M. Marshall: Yes it is our first time in T3 and we will definitely visit again! We really enjoy the facility, the opportunities with the gyms and it is just a really nice setting, really well placed. We are really enjoying it. T3: Could you see a progress in your trainings? M. Marshall: Yes the training camp is going very well so far, it has definitely lifted us and has given us an extra boost. The access to the long course and the short course next to each other is exactly what we were looking for and it is has definitely given us a boost. T3: Which are your goals in this camp? M. Marshall: The goals for this camp are: to make progress, so that being physically, that being psychologically, that means technically, just to make some progress. And also refine some of the skills that we have been working on up to this point. T3: How do you see your swimmers for the next competitions? M. Marshall: Yes, Adam is going to Rio and Edward is going to the European Junior championships. The other two just missed out by close but we are in a good place, happy with our progression and really happy particularly this half of the year, so yes I feel like we are in a very good spot. T3: Do you see any change since you were training and now? M. Marshall: Yes but I think the basics are still the same. It is who can work the hardest and who is the “toppest” and who could commit the most. But I will say that the science around success is now a lot more advanced. It is about what is the way to integrate that science and utilize it effectively for the progression you want to achieve. T3: Have you used the flume channel? M. Marshall: Yes we have, it is very good. We were very impressed and it was the first time I have ever used that sort of system. And I am very impressed. It is really, really, useful for us and the quality of video is excellent. And also the quality of people working in there was fabulous. T3: Could you improve any details? M. Marshall: For him, at this stage, it is just refining and polishing him up. For the others we found some very good details technically that we can improve on. 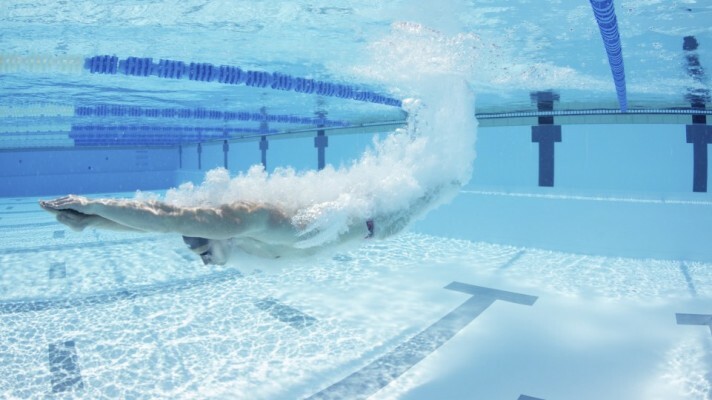 T3: Did you feel more nervous when you were competing or when you see your swimmers compete? M. Marshall: Seeing the swimmers, because there is no control, it is up to them now. So I am definitely more nervous for them, but I am happy now it is getting easier. T3: Are you planning to come back? M. Marshall: Yes. Definitely, now I have been here once. Maybe we will come around October time. This is definitely now somewhere where you will see us, as it is a very good facility to use and to achieve some good objectives.